Associate Professor Chris Smyth is Dean of the School of Media Communication & Culture at Murdoch University in Western Australia. He has been collecting photos and documents for the Australian Asbestos Network’s digital archives for more than two years. His research on methods and issues relating to collecting and archiving stories and pictures has helped shape the website as it appears today. Chris worked as a journalist for newspapers in Australia and the UK for more than 18 years prior to joining academia to lecture in journalism, media law and ethics in 2000. His research interests include media law, journalists’ rights and labour history. 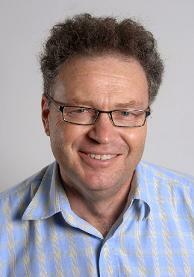 From 1987 to 1997, Chris was the state secretary of the Australian Journalists Association (now MEAA). He also co-authored the text book, Journalism Ethics at Work (2005) and the pictorial history book, Midland Railway Workshops (2004).